Minster Lovell is impossibly pretty. Cottages with hollyhocks on every corner. A meandering river, The Windrush, runs through it. The whole place is just achingly gorgeous. 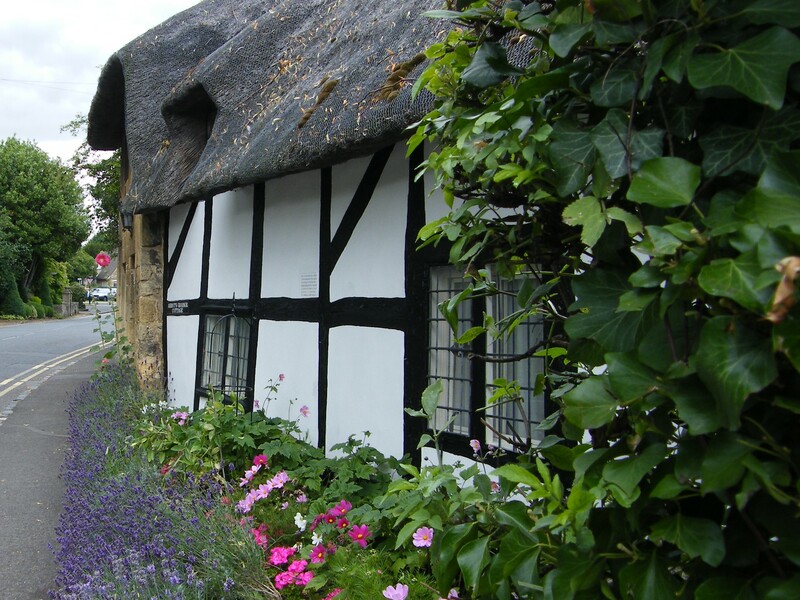 This is your quintessential English village. The village is home to the ruins of Minster Lovell Hall, a 15th century manor house and home to the tale of the Mistletoe Bride. For those who don’t know the story: It is Christmas Eve and there is a wedding in the Lovell family. The bride, still wearing her bridal gown and mistletoe head dress, takes part in a game of hide and seek and crawls into a heavy chest, shutting the lid behind her. No-one can find her and she doesn’t have the strength to open the lid, so slowly suffocates. Many years later, the hall is being renovated and someone comes across the chest. When they open it, they find a skeleton, tatters of wedding dress still intact. The countryside around the village is beautiful and we walked a circular well marked five mile route along the river and through fields before retiring to our hotel at the Old Swan & Minster Mill. Well worth a visit guys! 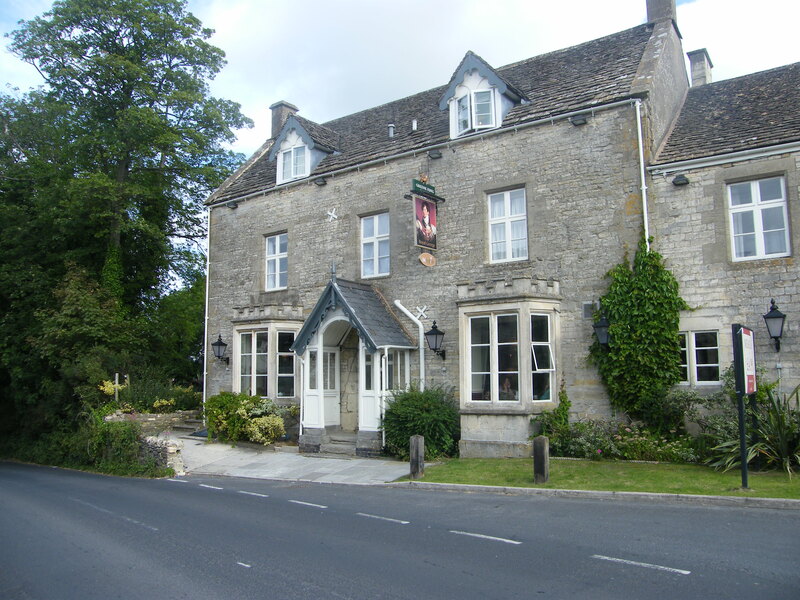 If you’re looking for a reasonably priced and comfortable place as a base for exploring the Cotswolds, then The Royal George at Birdlip should do the job nicely. We stumbled across this pub with rooms when looking for just a place to break our journey home from Devon, and couldn’t be more pleased with it. The room rate was a bargain £45 (it was a late booking) and this even included a full English breakfast with Gloucester Old Spot sausages too! This was our room – a huge double and by far the comfiest bed we had slept in all week. The food was excellent – I had a 10 ounce ribeye because I was feeling greedy, but there was a good variety of food to suit all tastes on the menu. The village of Birdlip is quiet and exceptionally pretty, but the pub was full, which says to me that people are prepared to travel to eat here. I’m so glad we’ve found this place as it’s a great kicking off point for walking in the Cotswolds and I fully expect us to be back again soon. 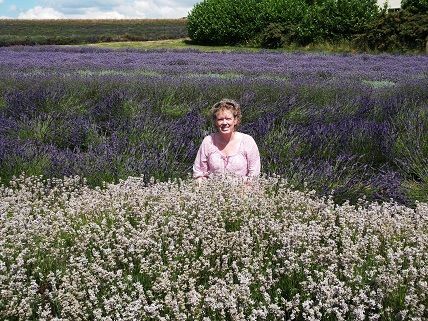 It’s that time of year again when I make my annual pilgrimage to a lavender farm – you just can’t keep me away! Although the weather was rainy and cool this year at Snowshill we still had an enjoyable walk through the lavender fields. They have so many varieties here, it’s like a sweetie shop. 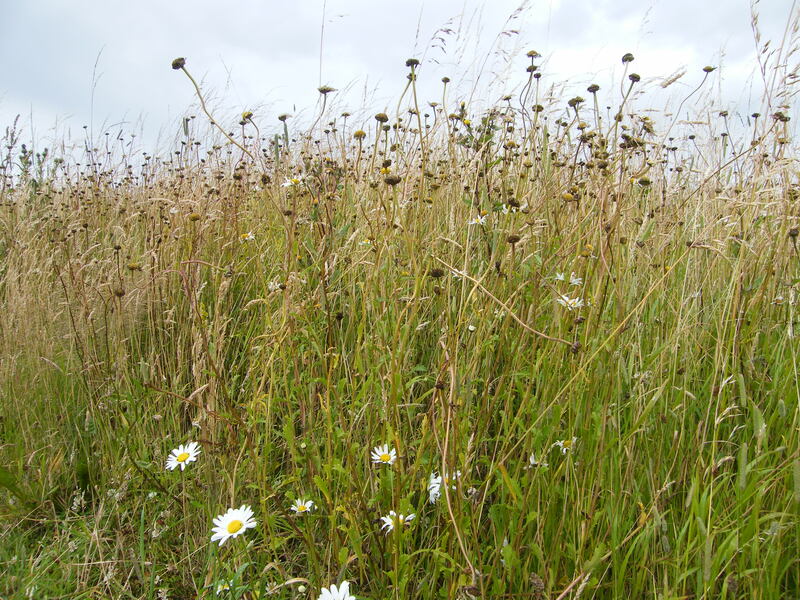 Interestingly they plant wildflowers in the adjacent meadow to attract bees. The views across the fields are amazing and the scent of lavender assaults your senses (in a good way!). As you can see, the lavender harvesting had already started as the plants in the foreground have had a good shearing. The distillery onsite was busy making essential oil. As usual, I bought a lavender souvenir: some essential oil, soap and a recipe card for lavender shortbread which I intend to make this weekend. If you get chance to go to a lavender farm, please go, you won’t be disappointed. 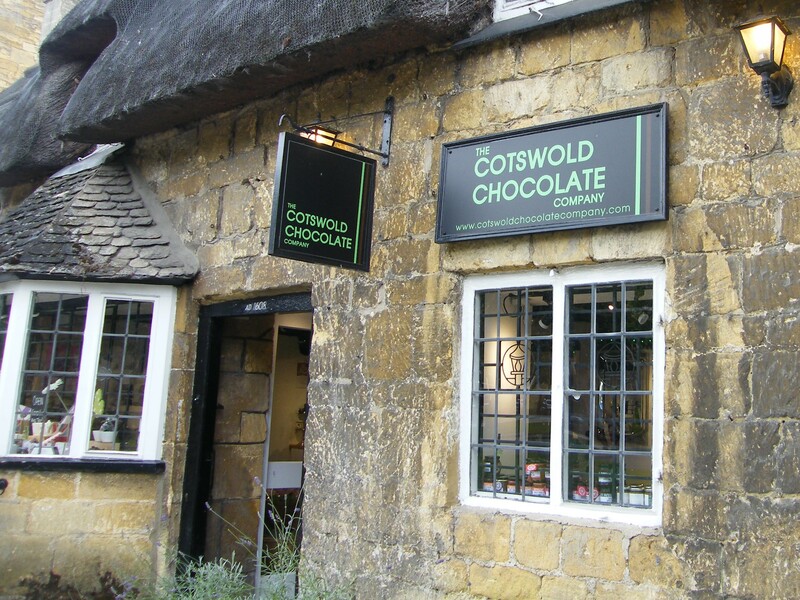 There’s no getting away from it, Broadway in the Cotswolds is chocolate box pretty even on rainy days. Although we were soaked in a downpour, it didn’t detract from the beauty of the setting. Even the shops are pretty! This is the local deli. 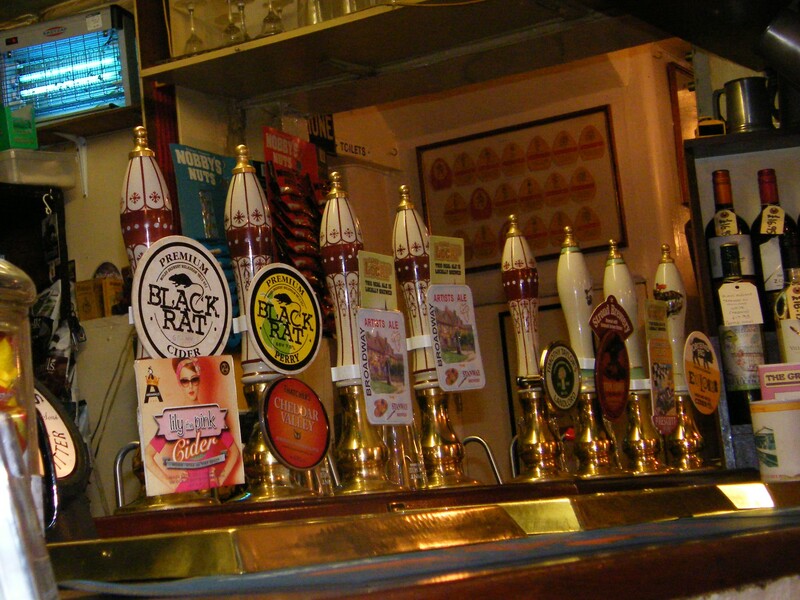 We stayed at the seventeenth century Crown & Trumpet where there is average pub grub but Black Rat cider on tap. We paid £70 a night to stay here and breakfast was £10 each extra which I think is overpriced. 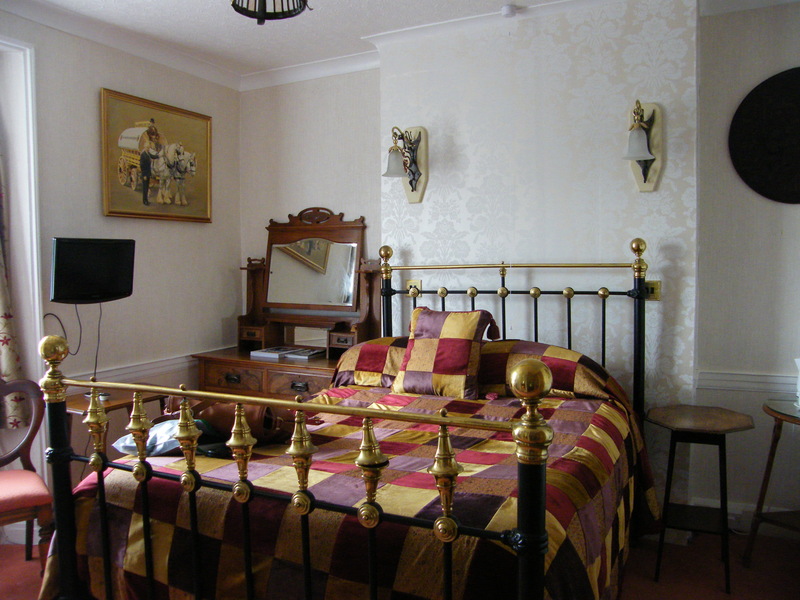 The rooms are individually decorated and have basic facilities. 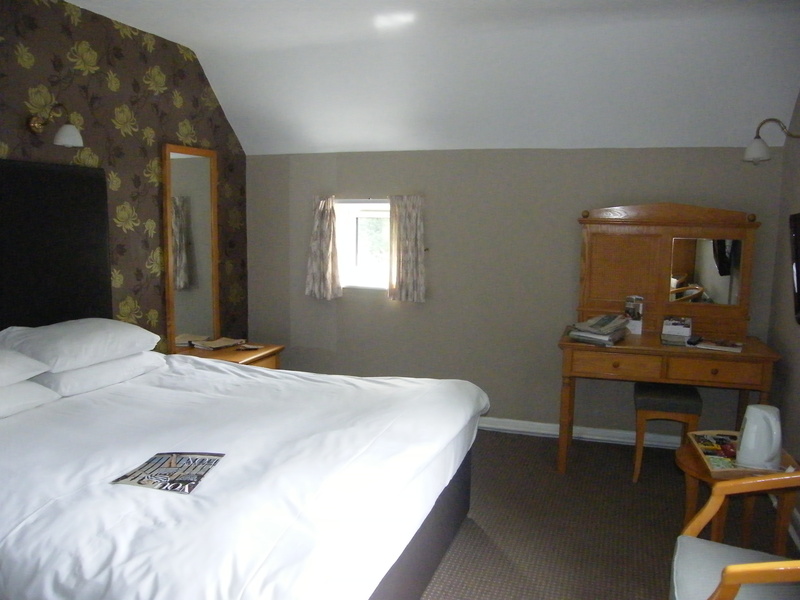 This is our room – being so short I almost needed a leg up to climb into bed. The décor is slightly peculiar and certainly not to my taste. This is not a dressy destination, so leave the frocks at home and put your walking shoes on to make the best of your visit. 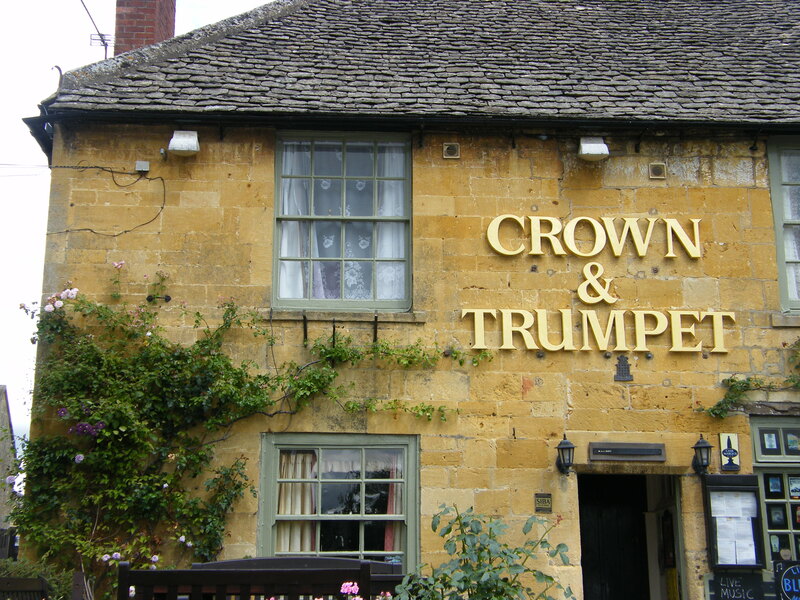 If you stay in the Cotswolds, let me know your recommendations as we would be looking to stay elsewhere next time. Last summer, I picked something from my wish list as a birthday treat. I’ve always wanted to go to one of the English lavender farms and lie down amongst the rows of plants just taking in the aroma, so that’s exactly what I did! 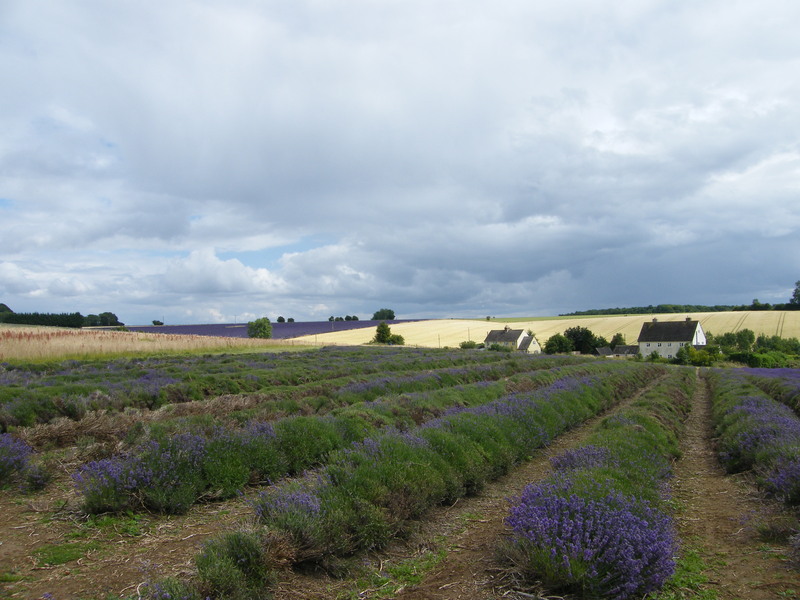 Cotswold Lavender is located in Snowshill, not far from Broadway. The entrance fee is only £2.50 per adult (£1.50 for a child) so it’s really good value. 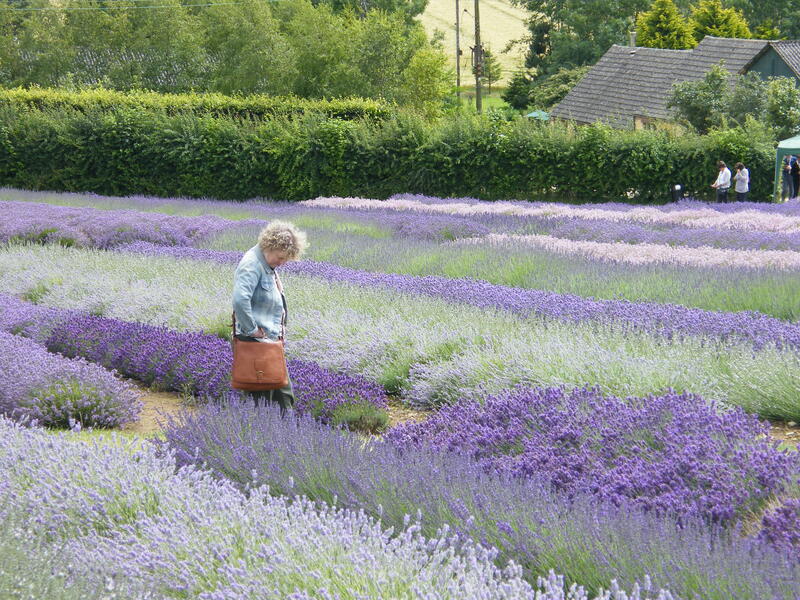 You can wander through row after row of different lavender varieties and marvel at the colour and scent. We also visited the distillery to see how the essential oil is extracted from the lavender plants ready for bottling, sale and distribution. There’s a lovely little tea shop where you can enjoy scones with jam and cream while you decide which product to take home with you from the gift shop. I’m an aromatherapist, so always pick up essential oils on my travels and this time was no exception! 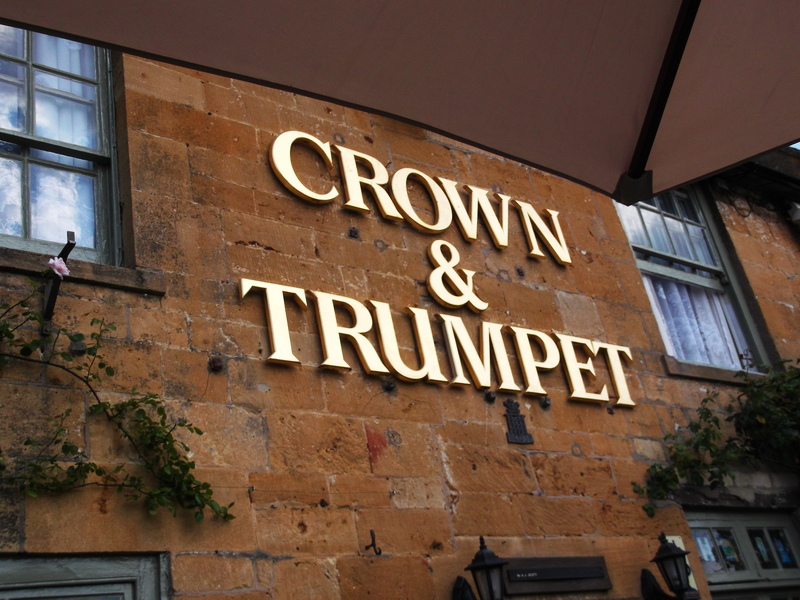 We stayed overnight at The Crown & Trumpet, a traditional country pub in Broadway. The food is good, the bed was comfy and it is reasonably priced. As it was such a beautiful weekend, we sat outside the pub for a good part of the evening watching the world go by. 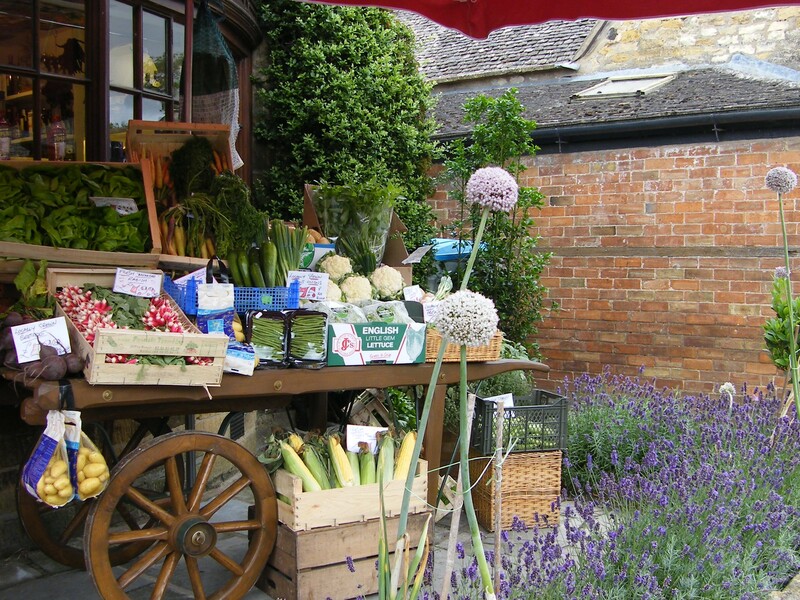 Broadway is a good place to base yourself for a visit to the Cotswolds and we go there quite often for a mooch around the different villages. Broadway itself has the lovely Lygon Arms (out of my price range, but lovely nonetheless) as well as several other cute looking places to stay. 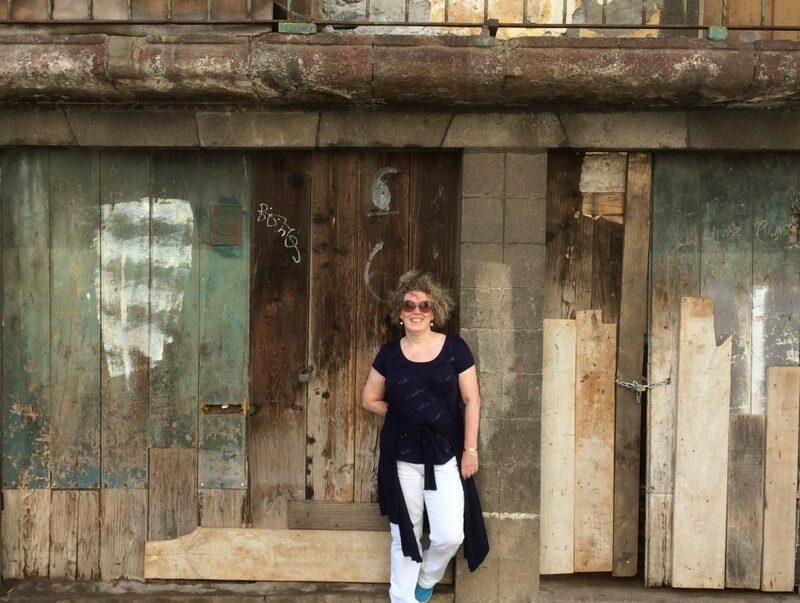 There are plenty of shops for browsing, mostly touristy, but that’s OK with me. Watch out for the stunning wisteria plants climbing up some of the buildings. If you fancy a walk, you can hike from the village up to the Broadway tower and take in the magnificent views. Make sure you have the right shoes as there are a few cowpats to negotiate! No doubt we’ll be back this summer!